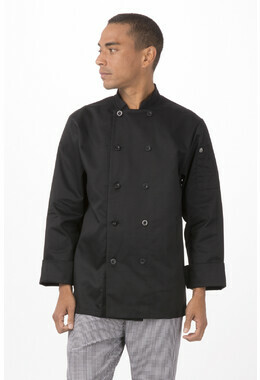 Hit the line ready to run with our Bristol Jacket, an ultra lightweight, short-sleeve, snap front jacket crafted for your weekday grind. 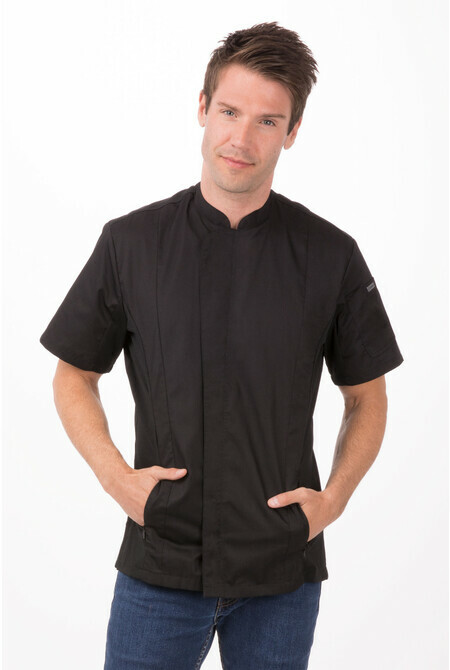 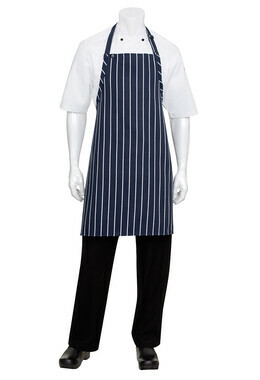 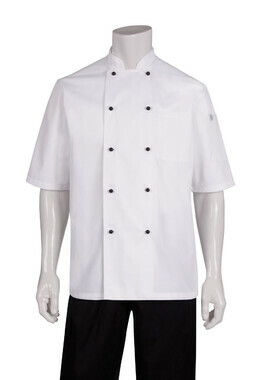 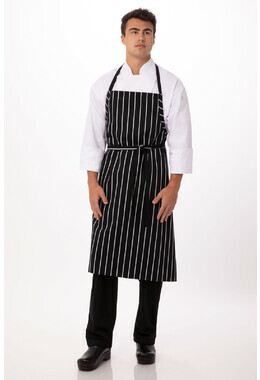 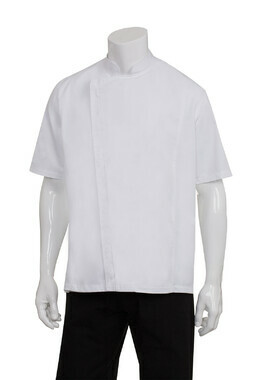 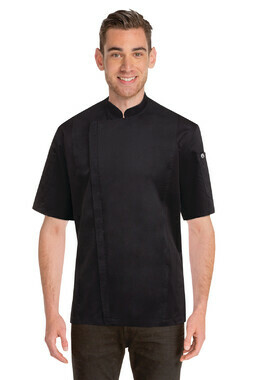 With stretch side, underarm, and back panels, your chef team retains their professional style without compromising flexibility or durability. 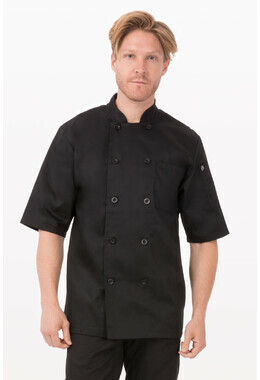 Hidden zipper pockets, snap back collar tab, side slits and a right sleeve pocket round out this double-duty jacket.